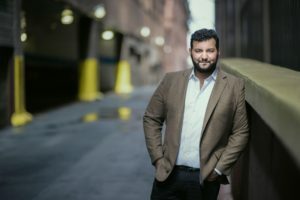 With Lyric Opera of Chicago’s production of Donizetti’s Lucia di Lammermoor opening this weekend, we wanted to interview someone who is both intimately involved in the production and has a profound and personal connection with this bel canto masterpiece. Mario Antonio Marra, the pianist for the production, was gracious enough to answer a few of our questions. Tell us a bit about yourself: how long have you been a professional opera pianist? Where did you study? What operas have you been a part of as a pianist? Do you have a favorite? Opera has been in my life for quite a long time. My father was a tenor so I grew up watching him in voice lessons, coachings, and rehearsals. I was always enamored with the theater and all of its trappings. I began piano studies at 4 and my primary teacher growing up was a wonderful woman named Norma Verrilli. Along with learning masterworks of the solo repertoire, Norma and I worked on opera arias and chamber music, as well as music theory and ear training. She taught me what it means to really listen. Once I moved to New York, I studied at New York University, and then for my masters at the Manhattan School of Music where I was a student of Warren Jones, one of the great collaborative pianists of our time. This training at MSM was for a degree in accompanying, and while earning my degree I was also on staff as a coach. Currently I am a member of the Lyric Opera of Chicago’s Ryan Opera Center training program, a position I began immediately following the completion of my Master of Music degree. I’ve been a part of many opera productions, most recently Lucia di Lammermoor (Donizetti), La Cenerentola (Rossini), Le Nozze di Figaro (Mozart), and Carmen (Bizet). I can’t pick a favorite really! But I will say that Nozze, Falstaff (Verdi), and Cavalleria Rusticana (Mascagni) are some of my desert island works. When you rehearse singers, do you coach them? Generally, how open are singers to your direction? Coaching is one of my favorite parts of my job. In a coaching, I work on a variety of things including diction and style. To be a singer is an incredibly difficult job. I have such admiration for singers because the voice is the only instrument that the player cannot really hear while they are making music. That’s why coaches are important – they can be the ears for a singer. And most importantly, coaches provide support – musically and emotionally. Most operagoers don’t have much exposure to the silent actors involved in an opera like yourself. Take us through the process, from the first time you dig into a score to opening night. During the process, how and when do you work with directors, singers, conductors, singing coaches, and others not mentioned here? The first thing I do when working on a new opera is read the libretto in order to gain an understanding of the dramatic pulse of the work and the inner workings of the characters. Next, I sit with the full score and piano vocal score. As pianists, we work from a ‘reduction’ of the orchestral score. It’s important to realize that each piano reduction of an opera is, in a sense, an interpretation on the part of the editor. Reducing an 80 piece orchestra to ten fingers is quite a challenge. Seeing as piano vocal scores are therefore an incomplete rendering, I always go through and mark into my piano vocal score the orchestration -what instrument is playing each figure. I also mark important doublings of the voice, and add anything that I deem important that might be missing. This is a long process, but an important one. As an opera pianist, I strive to simultaneously recreate the appropriate texture, articulation, and specificity of the orchestra, while also realizing the piano has its limitations and that certain concessions must be made. I also study the score from a conductor’s perspective – knowing where cues are for each instrument and singer, looking to see where the tricky moments will be for balance, etc. It’s important to realize that each piano reduction of an opera is, in a sense, an interpretation on the part of the editor. Reducing an 80 piece orchestra to ten fingers is quite a challenge. Seeing as piano vocal scores are therefore an incomplete rendering, I always go through and mark into my piano vocal score the orchestration -what instrument is playing each figure. All of that work happens before day one. Pianists play all of the staging rehearsals, and once the orchestra comes in (usually the last week of rehearsals), music staff members are sitting in the house doing whatever work the Maestro needs – typically listening for balance, making notes for the singers, etc. Occasionally during the rehearsal process, the Maestro will schedule one on one sessions with the singers in order to work on their arias or important scenes. In these circumstances, the pianist is present to play and make note of the interpretive choices. To give an example, during my most recent rehearsal process on Lucia di Lammermoor, Maestro Mazzola worked with each of the singers individually on some new cadenzas. I was in the room for those sessions, and it was my job to notate the cadenzas and disseminate that information to all that needed it. Lyric’s next opera is Lucia di Lammermoor, Donizetti’s great bel canto masterpiece. How difficult is this work compared to other Donizetti, Bellini, or Rossini works? What are the challenges specific to Lucia? Every opera has its own challenges. This work of Donizetti is a mountain. It is an audience favorite, and rightfully so. It also has a rich performing tradition. Because it is a work frequently performed, I think it’s a challenge to strive for the vigor and specificity that one would for a less performed work. We have been fortunate at the Lyric this year to have a wonderful bel canto conductor, Enrique Mazzola. 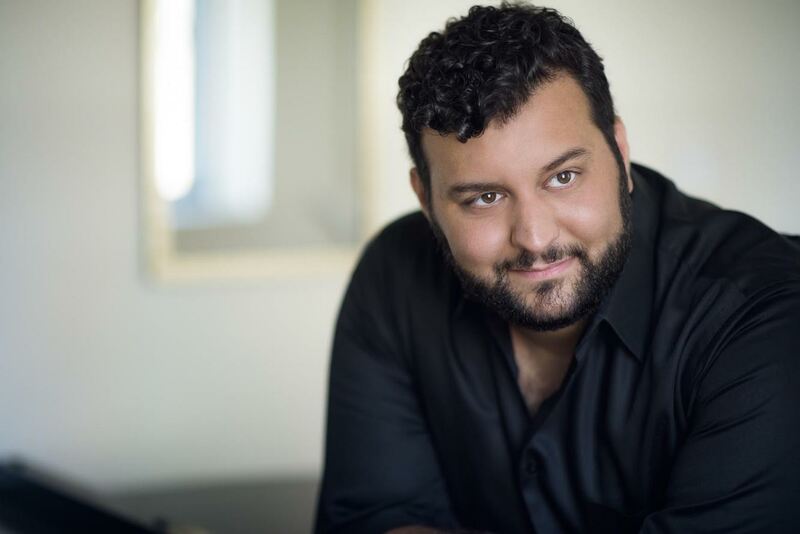 He has been working with the orchestra and the singers tirelessly to really play and sing in a true bel canto style void of the many bad habits which have plagued works such as Lucia during the late 19th and 20th centuries. Who are you favorite Lucia characters to work with musically? What makes their music so fascinating to you? This is a difficult question! I love so much of the music in this opera. However, I will say that the duet of Lucia and Edgardo at the end of the first scene is a masterwork of elegant simplicity and truest sentiment. It is not just a love duet in which each character fawns over the other. There is a struggle in the duet, a realization that things are not perfect – but isn’t this what love really is? Also, musically there are few melodies more beautiful. I also think that the last aria of the tenor – “Tu che a Dio spiegasti l’ali” – is one of the greatest in the repertoire. The cello solo is to die for. Lucia‘s mad scene is one of the greatest in the repertory. Describe your first rehearsal of this scene with Lyric’s Lucia. Our first rehearsal on this piece was a musical rehearsal with Maestro Mazzola, me at the piano and the stunning Albina Shagimuratova as Lucia. Albina sang through the piece beautifully, and we set tempi and the Maestro and she agreed upon the cadenza. It will be a very exciting scene for sure! As much as I love bel canto, I have never found the music as rich as the later Mozart operas or the music of the later 19th century composers Wagner and Verdi. What do you think? Is there musical depth in Lucia? After Lucia opens, I continue my regular work in the Ryan Opera Center, helping to prepare the singers for their roles for the rest of the season at Lyric – a very intense but gratifying job. I also have a very active life as a recitalist in concert with singers, so that keeps me very busy. It is an exciting life to be surrounded with this music every day and to work with great singers. I love every moment of it. Next Post What is bel canto?